Federal Workplace Law Fails To Protect Employees Left Out Of Workers' Comp Companies that opt out of state workers' comp laws say the Employee Retirement Income Security Act will ensure that injured workers get justice. An NPR investigation found that may not be true. After 21 years as a building engineer for Macy's department stores, Kevin Schiller was left unable to work as the result of a 2010 workplace accident. "All I heard was a loud crack and I found myself looking up on people looking down on me," Schiller recalls more than five years later. "They saw the mannequin hit me in the head and it drove my head into a shelf and then after that my head hit the cement." The mannequin fell 12 feet from the highest shelf. Schiller has hardly worked since, given persistent headaches, memory loss, disorientation and extreme sensitivity to bright light and loud sound. He now has to post notes on the front door and refrigerator of his apartment, reminding him to take medications and keep appointments. In case he is stopped by police, he carries a letter from his doctor that says he may appear drunk owing to a head injury. 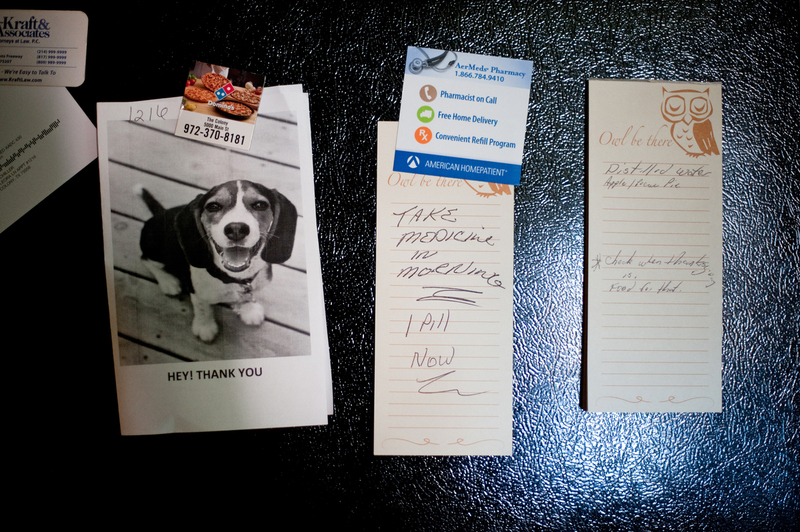 Schiller keeps a note on his refrigerator to remind him to take his medicine every morning. After his injury things like bright light and loud noises trigger painful headaches. "I'm next to poverty," Schiller says. "I sit in a dark room. I watch TV like an old 80- or 90-year-old person." 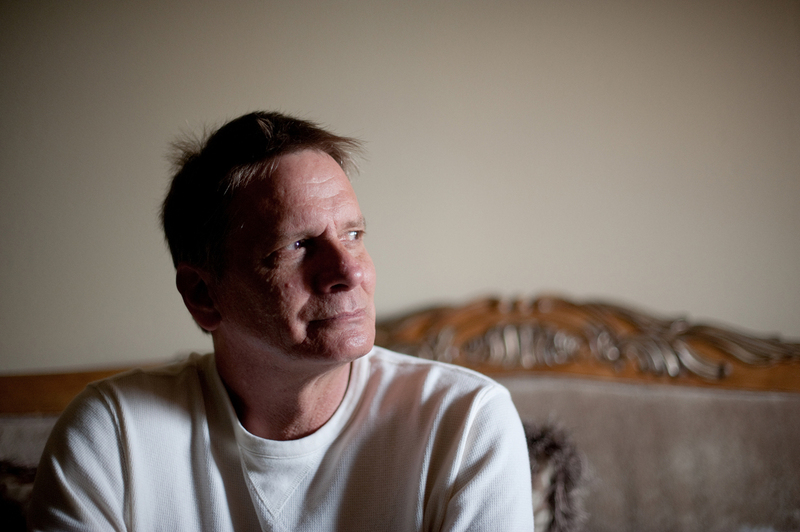 Schiller, 54, is among 1.5 million workers in Texas and Oklahoma who don't have state-regulated workers' compensation to turn to when they're injured on the job. Millions more may join them as more states consider giving employers the right to opt out of state workers' comp systems. As NPR and ProPublica have reported, many employers prefer this opt-out alternative to workers' comp, because the state systems, employers claim, result in expensive and long-lasting benefits, costly litigation and delays in treatment of injured workers. When employers opt out, they avoid state regulation and write their own workplace injury plans, which make it easier to deny and cut benefits, control medical care and limit appeals of their decisions. But don't worry, employers contend, injured workers are still protected by a federal law — the Employee Retirement Income Security Act, or ERISA. The 1974 law initially applied to pension plans but has evolved to include health care and other workplace benefits. "ERISA ... says the benefits must be administered in the best interests of employees," says Dallas lawyer Bill Minick, who leads the movement in Texas and Oklahoma to get employers to opt out of state workers' comp and shift to federal authority. 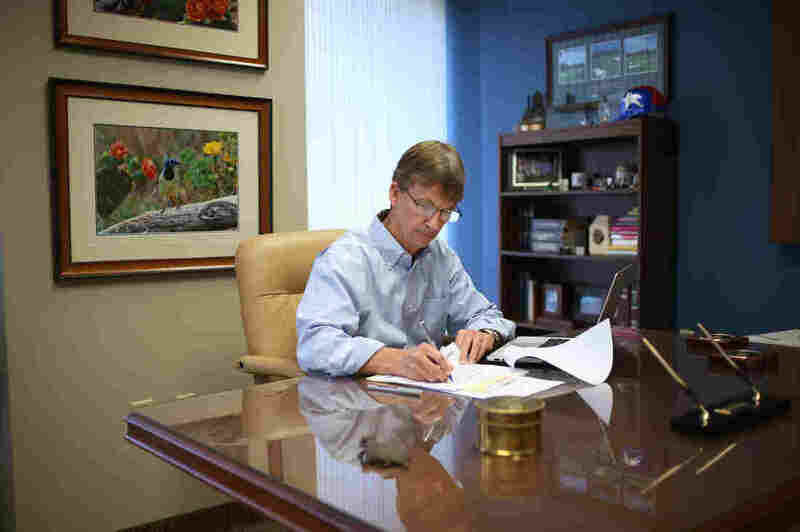 Minick and his company, PartnerSource, dominate a cottage industry, writing and supporting opt-out-workplace injury plans and lobbying for opt-out legislation in other states. ERISA is key to their sales pitch. Bill Minick, president of PartnerSource, a Texas company that writes and administers opt-out plans for employers who want an alternative to state workers' compensation laws, says ERISA ensures that injured employees are treated fairly. "There are very detailed claims procedures that must be followed to make sure the employee gets a full and fair review of their claim, including opportunity to appeal any denial of benefits and then access to state and federal courts," Minick adds. But ERISA didn't do much for Schiller, and NPR found the law doesn't provide the protections promised by opt-out promoters. "I was getting no help and no doctors would answer me," Schiller says. "And they kept on sending me out the door instead of sending me to a hospital. They'd tell me point-blank, 'We're here to observe you, not treat you.' "
Macy's did not respond to NPR's multiple requests for comment about Schiller's case. Legal documents, including witness statements, medical records, depositions and internal emails, show Macy's was skeptical of Schiller's injury from the very beginning. The company sent Schiller to doctors who concluded he was psychosomatic. One said he was faking. In legal filings, Macy's claimed the accident never happened and implied it was staged. The company cut off all benefits for medical care and lost pay. "Why would anybody set that up and put themselves through freaking hell?" Schiller asks. Unable to work and cut off from benefits, he lost his pickup and house. "I had made $80,000 a year at times and I'm going to give that up to be on Social Security and food stamps?" Schiller says. "Who would want the life that I've got now?" 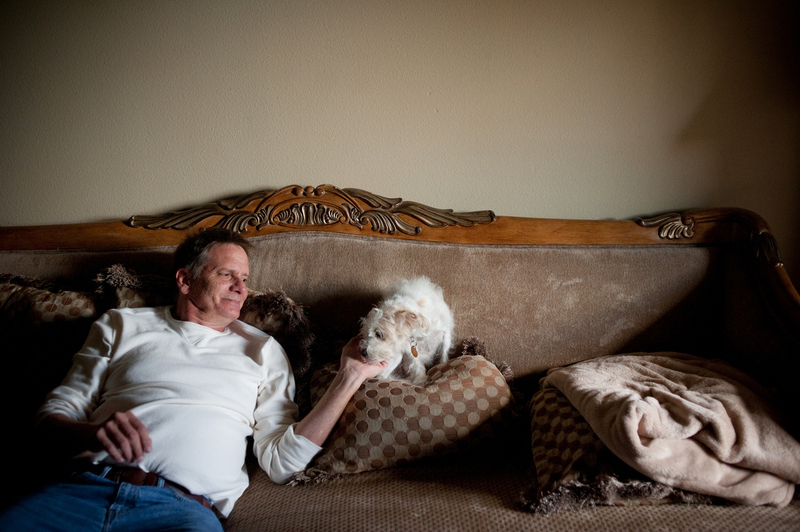 Schiller spends time with his Yorkie-doodle, Maxine, at his apartment. As a result of his mounting medical bills and his inability to work, he says he is now "next to poverty." Schiller sought treatment from specialists at his own expense — about $90,000. They diagnosed a traumatic brain injury. A Social Security judge declared him disabled. If Macy's had stayed in the state workers' comp system, Schiller could have appealed the company's denial of benefits to the Texas Division of Workers' Compensation and to state courts, where he would have expected an independent review of his case. ERISA blocks state action "because this is a federal question," says Richard Faulkner, an arbitrator and attorney in Texas who advised Schiller's attorneys. "ERISA says we're the federal law. We're superior. State law, you're irrelevant." Schiller was turned away by the state workers' comp agency and a state court, which cited a mandatory arbitration agreement in the Macy's opt-out plan. Most of the 50 Texas plans obtained by NPR and ProPublica contain mandatory arbitration clauses. So Schiller first went through an internal appeals process at Macy's, which is typical of opt-out plans in Texas and Oklahoma. People paid by employers decide whether employers are fair. Macy's rejected Schiller's appeals. "There is no unbiased arbiter, so there can never be any true fairness," says Bob Burke, a former Oklahoma commerce secretary who leads legal challenges to Oklahoma's opt-out law. Workers theoretically have an easier time taking their cases to federal court. But federal judges, under ERISA, must first determine whether employer decisions are "arbitrary and capricious" and can only reject benefits decisions if employers were unreasonable or did not adhere to their plans. "You really have to show that [benefits decisions are] irrational or contrary to the terms of the plan," says Karen Handorf, a private ERISA attorney who spent 25 years enforcing ERISA at the Labor Department. So as long as employers follow their plans, they are likely to prevail. It doesn't matter how unfair the plans or decisions may be. 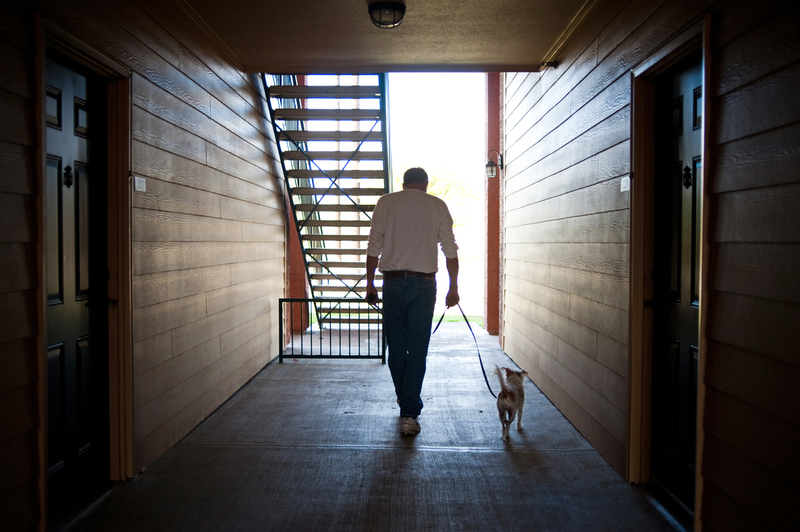 Even if injured workers win in federal court, they get only the benefits they were denied. There are no multimillion-dollar awards for pain and suffering. And if workers lose, they can be forced to pay the legal expenses of their employers. "Consequently, you have to think long and hard about what exposures you may be generating for a client if you attempt some of these ERISA remedies," says Faulkner. "ERISA can be incredibly dangerous for ... an injured worker." Schiller's attorneys decided a federal court appeal was too risky. These hurdles to going to court may explain why many employers include in their plans provisions that directly violate ERISA, according to Handorf. In Oklahoma, almost every opt-out plan includes mandatory settlements. Employers alone decide when to cut off benefits and pay lump-sum settlements. They also decide how much to pay. And if workers refuse to accept, they lose all their benefits. Injured workers also lose benefits in many plans in both Texas and Oklahoma if they don't report injuries by the end of their shifts or within 24 hours, even if supervisors are witnesses or the injuries initially don't seem serious. These provisions are "an impediment to bringing claims and really isn't what ERISA is designed to do," says Handorf. "ERISA is based on the idea that you get your right to make the best claim you can for benefits." There's also some question about whether ERISA governs opt-out plans. The federal law explicitly states that it does not apply to plans "maintained solely for the purpose of complying" with state workers' comp law. So Minick and PartnerSource added a strategic benefit to 90 percent of the opt-out plans in Oklahoma. It pays $1,000 for deaths that have nothing to do with work. "That's the magic language to have ERISA apply," Minick argues, because the plans then don't "solely" exist to provide workplace injury benefits or comply with state law. Minick says that any misuse or violations of ERISA will be addressed by federal regulators. "The U.S. Department of Labor has enforcement authority," Minick says. "So there are a variety of checks and balances in the process." But Faulkner says the agency isn't paying attention. "The Department of Labor has civil and criminal authority that if it chooses to exercise it can go in, look at these things and stop it." Labor Department officials declined multiple requests for interviews. Spokesman Michael Trupo says the agency "is aware of, and studying, the issues you note." "First and foremost, the well-being of workers and their families should be the priority when it comes to workers compensation arrangements. States should not be in a race to the bottom when it comes to minimizing workers comp costs at the expense of workers. To date, the department has no records of receiving complaints regarding opt-out plans.This may be due, in part, to workers not knowing they have rights under the Employee Retirement Income Security Act. If a worker believes they have been treated unfairly in a workers-compensation opt-out plan, they should contact one of our Benefits Advisors at www.askebsa.dol.gov, or via telephone at 1-866-444-EBSA." Trupo also says the agency has never litigated a single case involving possible misuse or violation of the law by employers who have opted out of state workers' comp. The agency has not received a single complaint, Trupo adds, which "may be due, in part, to workers not knowing their rights under [ERISA]." ERISA requires employers to inform workers of those rights and of the process for filing complaints. Plans reviewed by NPR and ProPublica typically contain that information, but most are more than 50 pages long. "ERISA's been turned on its head, really ... because initially it was passed for the protection of workers," says Jeffrey Dahl, an ERISA attorney in San Antonio who represents injured workers. "But it in fact has become a shield for employers that operate these plans." When Schiller's case went to mandatory arbitration, his lawyers worried about a process they consider pro-employer. Arbitration resulted in a mixed decision for Schiller and Macy's. Schiller, who now relies on disability payments from Social Security to get by, says he has gotten "no justice." Arbitrator John Allen Chalk Sr. concluded the incident actually happened and resulted from Macy's negligence. Schiller, Chalk ruled, suffered a "mild" traumatic brain injury and was subjected to "scattered, intermittent [and] non-focused" medical treatment. Chalk also said medical records failed to show "any serious attempts to thoroughly examine, diagnose, and treat Mr. Schiller's job-related injury." But Schiller would likely recover within five years, Chalk ruled. Schiller received $713,000. Ted Lyon, Schiller's attorney, believes his client would have done far better if the case had gone to state court. Schiller "would have worked until he was 65, so that's a million and a half dollars at least," Lyon says. "In addition to that, [given] pain and suffering damages and the egregious way that they treated him, I could have easily gotten $5 million from a jury in this case." And if Schiller's case had gone to court, every detail would be public. The mandatory arbitration clauses in opt-out plans impose secrecy. Arbitration hides cases like Schiller's and shields employers like Macy's. We know the details of Schiller's case because he decided to talk about it. He wants others to know what can happen to injured workers, despite the promised protections of ERISA. "I'm just getting by," he says. "Thank God for Social Security Disability. And ... after dealing with the whole process I went through and nowhere to go ... I mean I've gotten no, no justice." Most of the arbitration award paid legal fees, arbitration costs and existing medical bills. The rest is in a trust that pays ongoing living and medical expenses. And most of the award is gone. Schiller says he'll run out of money before he runs out of time.